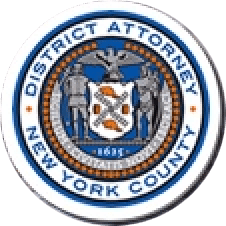 Manhattan District Attorney Cyrus R. Vance, Jr., today announced the indictment of ANTHONY ROTONDARO, 59, and JAMIE ROTONDARO, 32, as well as RENISS CONTRACTING, INC. and JANIC CONSTRUCTION CORP. for defrauding 11 subcontracting companies out of more than $328,000 by failing to pay the companies for work completed on six projects in New York City. All four defendants are charged in New York State Supreme Court with multiple counts of Grand Larceny in the Second, Third, and Fourth Degrees. In addition, JAMIE ROTONDARO and the two companies are each charged with an additional count of Grand Larceny in the Third Degree and one count of Insurance Fraud in the Third Degree for stealing employee retirement savings and committing insurance fraud . According to documents filed in court and statements made on the record in court, ANTHONY ROTONDARO was the owner of RENISS CONTRACTING (RENISS) and JANIC CONSTRUCTION (JANIC), with his daughter, JAMIE ROTONDARO, serving as the president of JANIC. Both companies performed general contracting services for interior construction projects throughout New York City. Between June 2014 and March 2015, the defendants defrauded at least 11 subcontracting companies – which were hired to perform services at six RENISS and JANIC projects in Manhattan and Queens – out of more than $328,000 by failing to pay the subcontractors for their completed work. The projects included 156 William Street, 386 Park Avenue South, 126 East 56th Street, and 250 Bowery in Manhattan. The fraud also extended to work being performed at the offices of the New York State Laborers’ Union Local 78, located at 11-17 43rd Street in Long Island City, Queens, as well as the offices of Swissco, a distributor of beauty and personal care products, located at 38 East 32nd Street in Manhattan. In addition to failing to pay subcontractors for their work, the defendants are also charged with stealing more than $428,000 from a client by misappropriating advance payments that were made to the defendants on two separate projects. JAMIE ROTONDARO, as well as RENISS and JANIC, are also charged with stealing more than $18,000 in 401(k) contributions made by an employee between April 2012 and April 2014. In addition, JAMIE ROTONDARO and the two companies are charged with defrauding and attempting to defraud the Empire BlueCross BlueShield (Empire) insurance company out of more than $13,000. From March 2014 to October 2014, the defendants, knowing that the insurance premiums they owed were not being paid and therefore the coverage would soon be cancelled, instructed their employees to continue seeking medical care and to have the medical providers’ bills sent to Empire, which ultimately paid for more than $6,500 worth of claims during this period. Assistant District Attorneys Christopher Beard, Senior Investigative Counsel, and Melissa Fox of the Rackets Bureau are handling the prosecution of the case under the supervision of Assistant District Attorney Jodie Kane, Chief of the Rackets Bureau, Assistant District Attorney Judy Salwen, Principal Deputy Chief of the Rackets Bureau, Assistant District Attorney Michael Ohm, Deputy Chief of the Rackets Bureau, and Executive Assistant District Attorney David Szuchman, Chief of the Investigation Division. Principal Financial Investigator Michael Kelly and Investigative Analyst Bridie Fitzgerald assisted with the investigation. District Attorney Vance thanked the New York State Police for its assistance in the investigation, including Superintendent Joseph D’Amico, Special Investigations Unit Major Scott P. Colburn, Lieutenant David Atkins, and Investigator Brahim Dedusevic, under the supervision of Senior Investigator Gustav Talleur and Investigator Matthew Rutchik, U.S. Department of Labor, Employee Benefits and Security Administration.